The EUROMED Migration IV (EMM4), a programme funded by the European Union (EU), aims to implement a comprehensive and shared approach to strengthening effective dialogue and cooperation on migration, mobility and international protection and asylum between EU Member States (EU MS) and European Neighbourhood Instrument South Partner Countries (ENI SPC: Algeria, Egypt, Israel, Jordan, Lebanon, Libya, Morocco, Palestine, Tunisia and Syria-on hold). 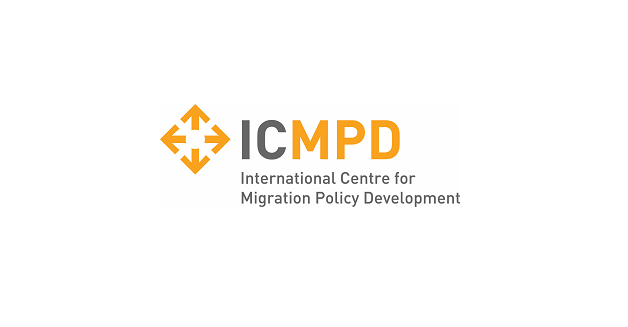 To this end, the programme provides a constructive and operational dialogue and co-operation framework, with particular focus on reinforcing regional and national instruments and capacities to develop and implement evidence-based and coherent migration policies and actions. As a tool with which to support this mandate, the Interactive Map on Migration (i.Map) is a web-based information and knowledge platform which aims to enhance and facilitate information exchange and contribute to a more balanced narrative on migration. The tool is embedded in an inter-regional forum on migration and aims to serve a wide range of users, from governments of participating states to civil society and international organisations as well as the media. In 2016, the EMM4 joined the platform to better support its stakeholders in the Euro-Mediterranean region. EMM4 has therefore launched a process of redevelopment of the i.Map to modernise and adapt it to the current needs of different migration actors. In this context, EMM4 is launching the first ever i.Map Migration Governance Traineeship for students and young professionals from EU and ENI SPC Member States. As part of an important regional migration dialogue, students passionate about the world of migration will have the opportunity to complement their migration knowledge with this 3-month Traineeship which will facilitate direct engagement with a diverse set of primary migration actors such as politicians, international organisations, civil society organisations, journalists, and local authorities. This approach will help the selected Trainees to strengthen their understanding of various migration topics: irregular migration, legal migration, migration and development, and international protection and asylum, as well as of the roles and responsibilities of different actors involved in migration and how they interact and jointly contribute to migration governance. Moreover, closely linked to the i.Map, the Traineeship will expose selected candidates to content production and management of an important information portal on migration. As such, the Trainees will provide innovative contributions to fuelling the growth of the i.Map structured around research, data collection, data visualisation, and media engagement. The multi-thematic digital platform will also include information on migration flows and routes, the development of a media centre, and the management of a contact and partner database. The selected candidate will carry out tasks as outlined below (PDF). Applications are open for Cycle 6 (1 October – 31 December 2018) of the i.Map Migration Governance Traineeship. Interested candidates are requested to submit their complete application by email to i.map_traineeshiprecruitment@icmpd.org, providing a 1) curriculum vitae and 2) completing the recruitment document attached. Only complete applications will be considered.